Start your day off by enjoying our delicious breakfast! A great breakfast with wonderful pickings of bacon, ham, sausages, and of courses Canadian back bacon. Eggs, fresh cut home-fries, and toast. Fresh fruit crepes, mouth watering waffles and unique pancakes, we promise you won’t be able to ignore your taste buds. 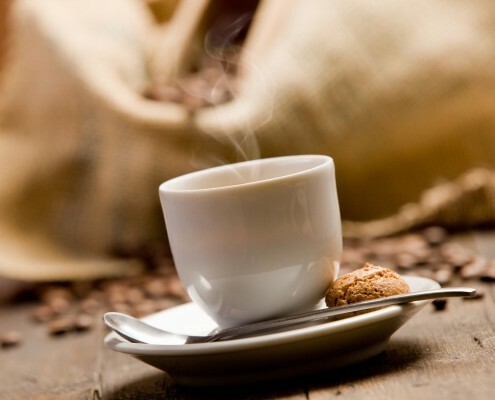 Bottomless coffee, your choice of teas and juices. 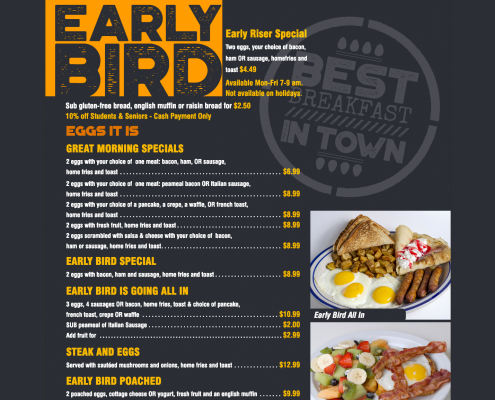 The Early Bird Restaurant is a great place to sit, relax and enjoy the best breakfast and lunch the Niagara region has to offer at a reasonable price. 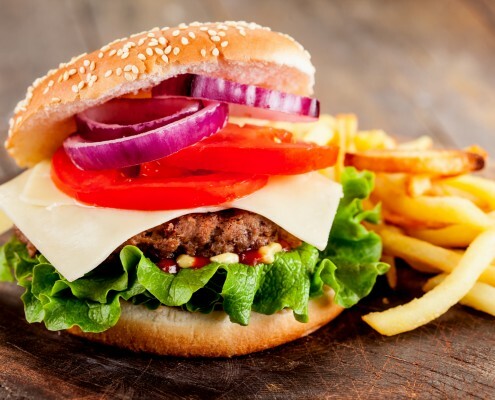 We also offer a special 10% discount for Brock Students and Seniors. WOW!!! Come and visit us today. We welcome you to a delicious and hearty breakfast and brunch, cooked your way and just for you!